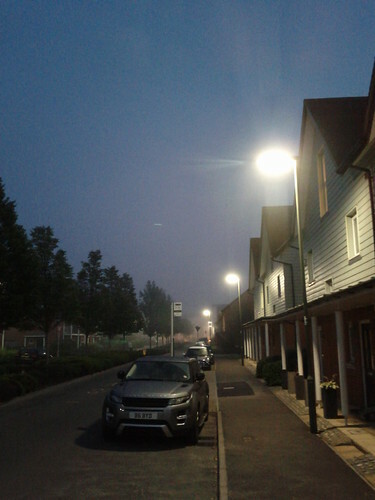 The fog didn’t come out very well (cheap phone camera) but the fog looked really neat this morning. Well, just in case you hadn’t heard, Scotland voted No to independence yesterday. I didn’t publish what I thought before because I wanted to not involve myself in local politics. However, since the vote has passed, I thought I could post what I thought. For the past 400 years or so, the Scottish people have wanted to be free from their English oppressors. Now, today it isn’t really like that; however, the past would have swayed my vote. The economic implications wouldn’t have played into my vote at all. It would have worked itself out in the end. The amount of journalism talking about problems, companies talking about pulling out, etc… was nothing but fear-mongering on the part of the no campaign. Even thought it wasn’t meant this way, the feelings of “You [Scotland] can’t do it alone” and “Better Together” still harken back to the fact that someone else knows best for the Scottish people. It is sort of like someone saying “it can’t be done” or “I know what’s best.” That’s ok in the case of kids, but not a country or grownups. Here’s a couple of pictures. 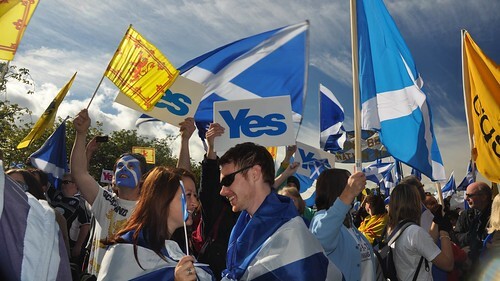 The first is some Yes flags. I’d like to get one of these…I think it would be a neat momento of history. The second is a map of how the vote broke down across Scotland. Click them for larger copies on Flickr. 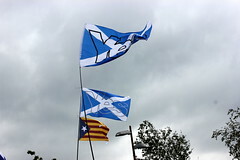 Image of Yes flag from Cameron King via flickr. Image of poll results is a screenshot of the graphic in the telegraph. 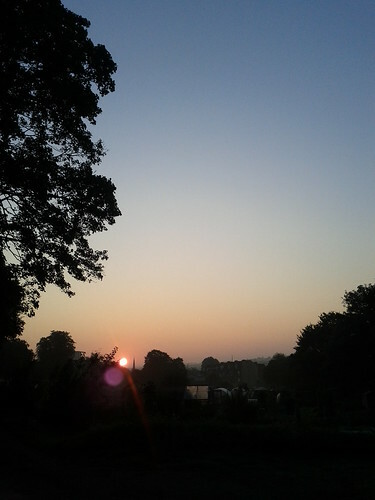 The sun coming up over the allotments with some fog. This morning, the air felt cool, crisp, and fallish. I was challenged to do the Ice Bucket Challenge by my friend Joel. I can’t do it really memorable here in the UK partially because I don’t have a bucket or the ability to make enough ice (and I’m not paying what they want for a little bitty bag). I decided to do something geeky instead. Well, I can’t embed it. Go here on our flickr page to see it.